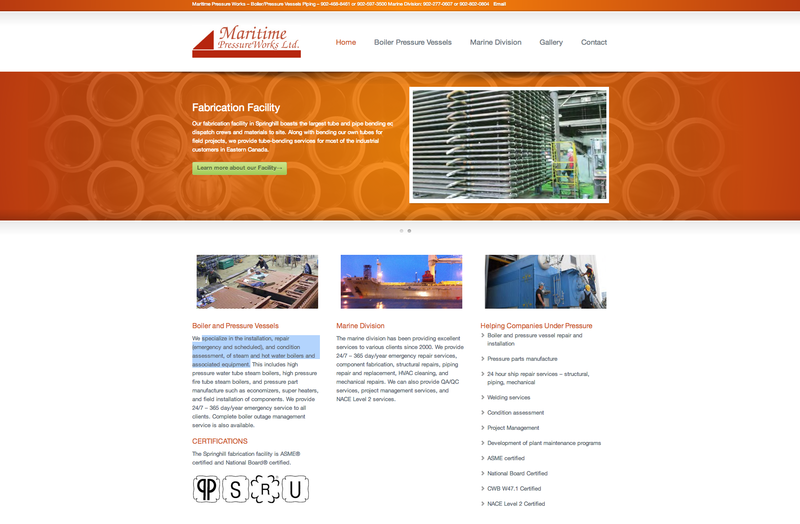 Based in Nova Scotia Maritime Pressure Works specialize in the installation, repair (emergency and scheduled), and condition assessment, of steam and hot water boilers and associated equipment. They came to Eastwood Design with a website that they could not maintain themselves and was very outdated. We worked with them to provide a modern site that is simple for them to maintain.